Replacement:SEN-10100. The new revision corrects issues with the high pass filter. This page is for reference only. 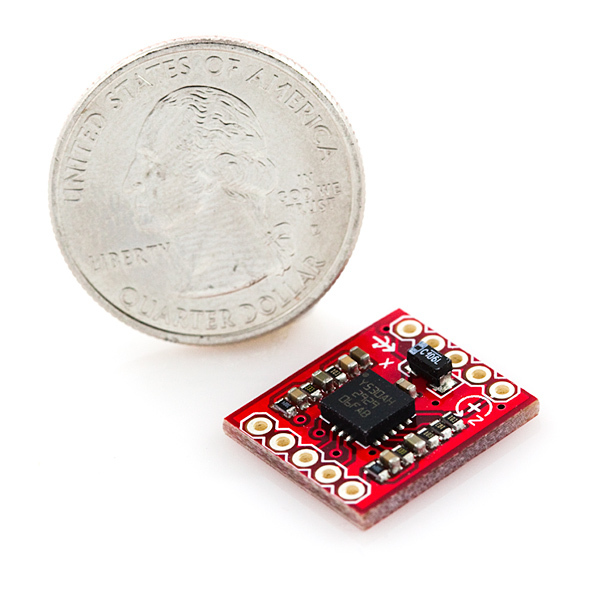 This is a breakout board for the ST's single-axis LY530ALH gyro. The LY530ALH measures angular velocity along the yaw axis with a full scale of ±300°/s. Two different analog outputs are provided for the z-axis - one 1x amplified and the other 4x amplified. A regulated voltage between 2.7 and 3.6VDC should be supplied to the power pins. We have the filtering circuits all set up, so you'll just need to connect the outputs to an ADC, and you're ready to go. 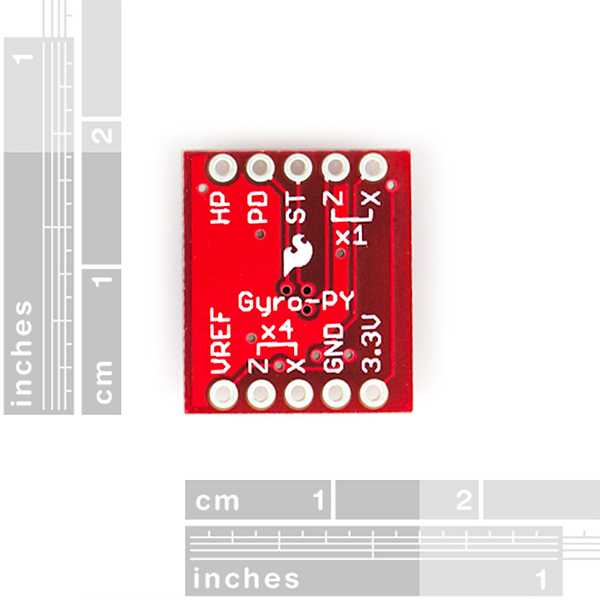 We put the LY530ALH on our LPY5xxx gyro breakout boards. Don't be tricked by the pin-out, the x-axis outputs will not work. 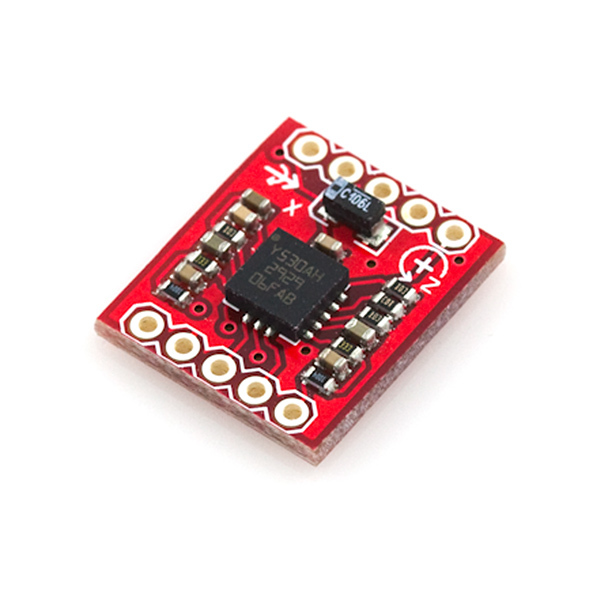 **Note: **Some users have found that the high pass filter on this breakout board causes the output to be incapable of being integrated. A revision is coming that will have R5 and R8 removed and replacing C1 and C2 with a jumper. About the revision (will have R5 and R8 removed and replacing C1 and C2 with a jumper), it's done? I would like to know the exact dimensions and position of the pad's of this board? 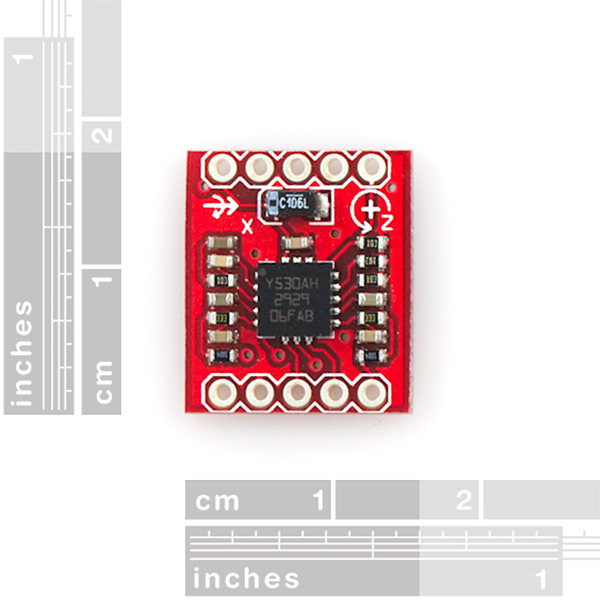 Are there some eagle/kicad files available? I could not find a tutorial for this and was hesitant ... But it works great :) . A wider range means a lower resolution. It's a trade-off and it's probably more difficult to manufacture high-resolution parts because you'd basically need to lower the noise of the entire system. I believe the link to the schematic should be to the Pitch-Yaw variant rather than then Pitch-Roll one.